The Adam Gibson Design website now features a “client portal” to more easily allow collaboration with clients. The portal is implemented using the Customer Area plugin with the Login & Register Forms, Notifications and Conversations add-ons. Private pages and files can now be placed on the website for clients to examine at their convenience. 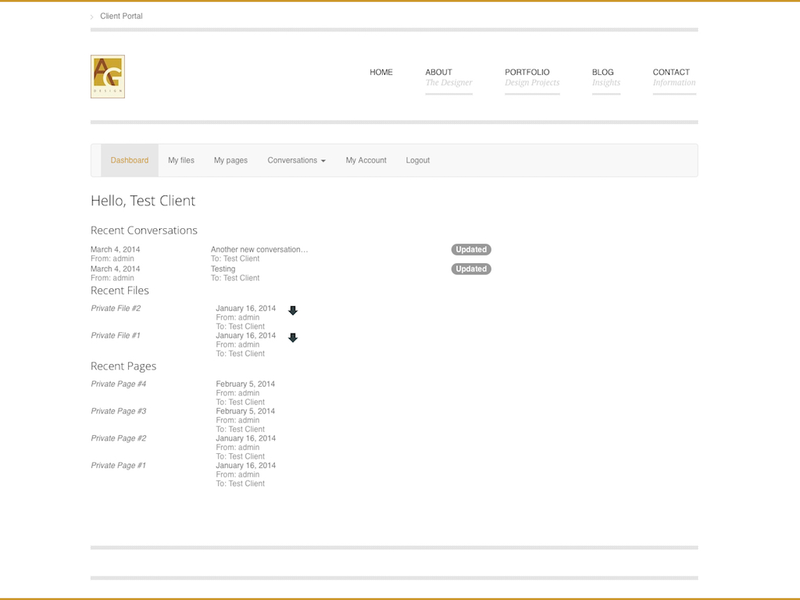 The Conversations add-on allows private online discussions to take place and the Notifications add-on automatically sends email notifications of new discussions, new private pages and files as well as when a client downloads a private file. Finally, the WP Admin No Show plugin removes the standard WordPress “admin bar” for specified user roles to keep the client portal clean and simple.